Look what we did on our summer vacation! World, meet Charlie. 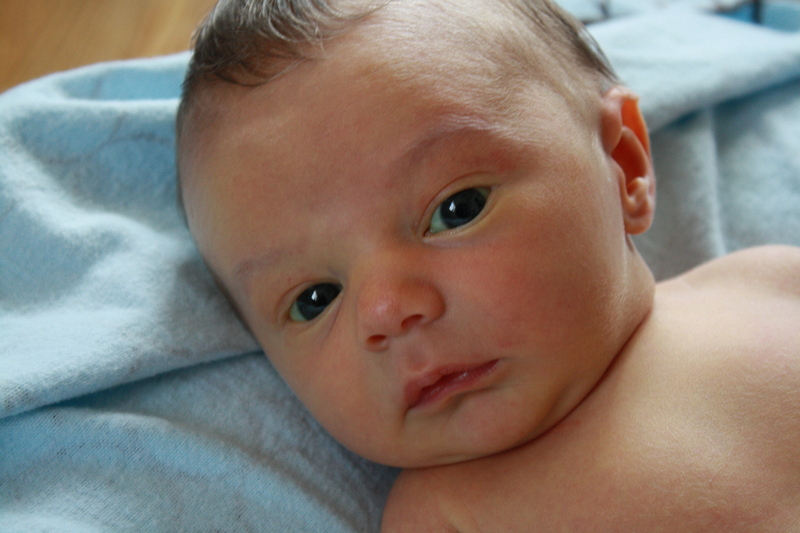 Born July 31st at 6:05 pm, he is the adorable handful that Dave and I are lucky enough to call our own. It's been a wild first few weeks what with the sleeplessness, the feeding, the massive mental shift of sharing our lives and our space with a bouncing, fussing, fully functioning new family addition. 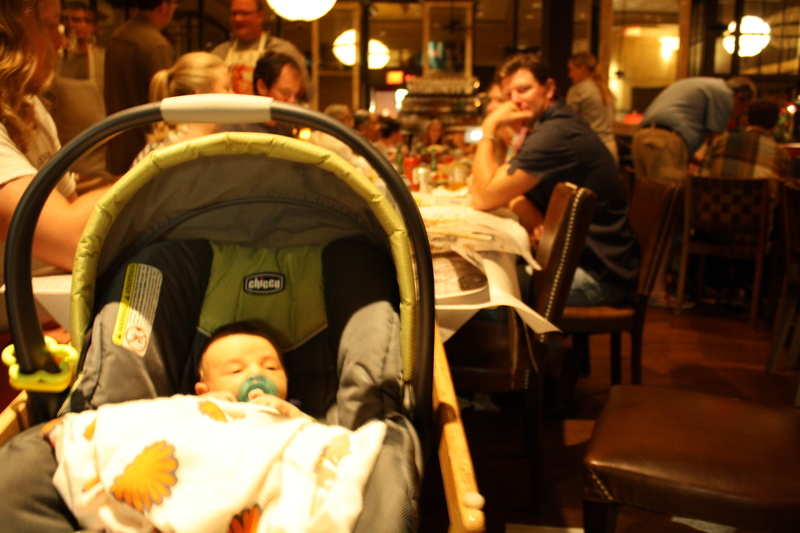 But really, we promise we're enjoying every second of parenthood... so far. ... along with where to go when he wants to get the area's most incredible oysters. 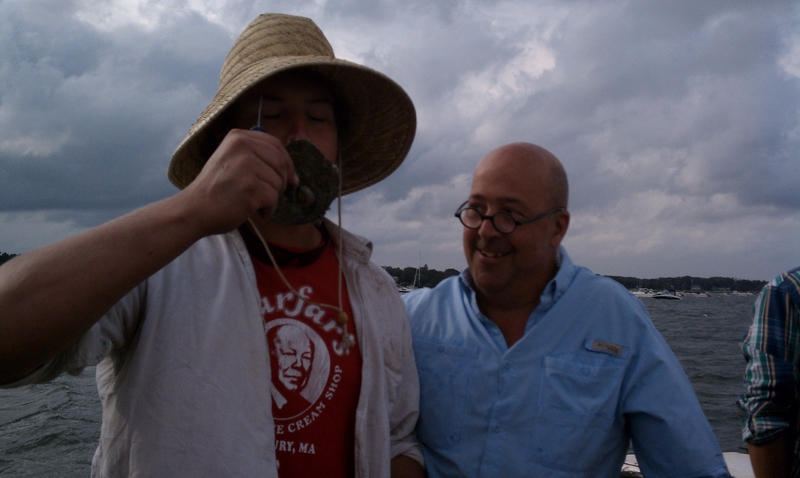 Yesterday, Charlie and I took a trip down to Duxbury so that I could be part of a shoot for the television show, Bizarre Foods with Andrew Zimmern. While Charlie didn't quite make it out onto the water, he did get a taste of his first oyster via osmosis. (Physically, he was about 5 minutes away with my friend Jenn in Kingston - which gave mom enough peace of mind to spend her first few hours away from the little peanut and not fret the entire time.) The shoot itself was loads of fun - Andrew put the whole crew at ease and even beat Chris at a shucking contest. I may have even gotten a little plug for SHUCKED into the footage (the episodes airs in February... stay tuned). Speaking of the book, all systems are go for an October 11th publication date which we'll be celebrating with a number of signings and book-related events. Get in on the fun by "liking" the book on Facebook or keep an eye on the blog where I'll be adding a calendar of upcoming events. We have signings scheduled for Boston, Duxbury, Hingham, Philly, and Wilmington, DE so far... I have the feeling there will be many more to follow. Until then, if you'll indulge me, I'll keep posting pictures of Charlie and any other fun oyster-related adventures I'm on... now that I'm able to eat them again (post pregnancy), there will be no more excuses for blog neglect. Next stop: Oyster Festival.